Daniel Winkler has been designing and crafting frontier-style tools since the mid-1970s. Using the American frontiersmen as his inspiration he prides himself on creating well-crafted items that not only last a lifetime, but look the part as well. Each Winkler product from the Winkler Knives II product line was borne out of his experiences working with the Special Forces in the United States military making them as field tested as any knife or axe you're likely to find. 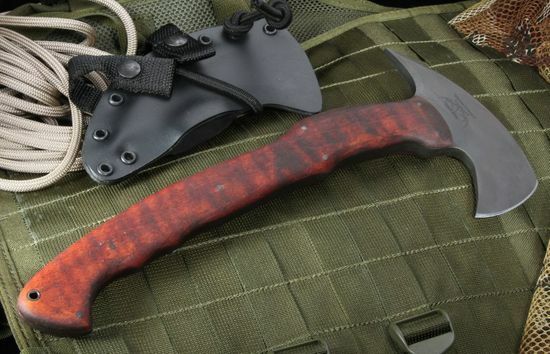 The Winkler Sayoc Maple Axe is a good sized tomahawk weighing in at just under one and a half pounds (1 pound, 6.2 ounces). The blade is 2.25-inches with a black caswell finish that will eliminate glare and increase protection against rust. 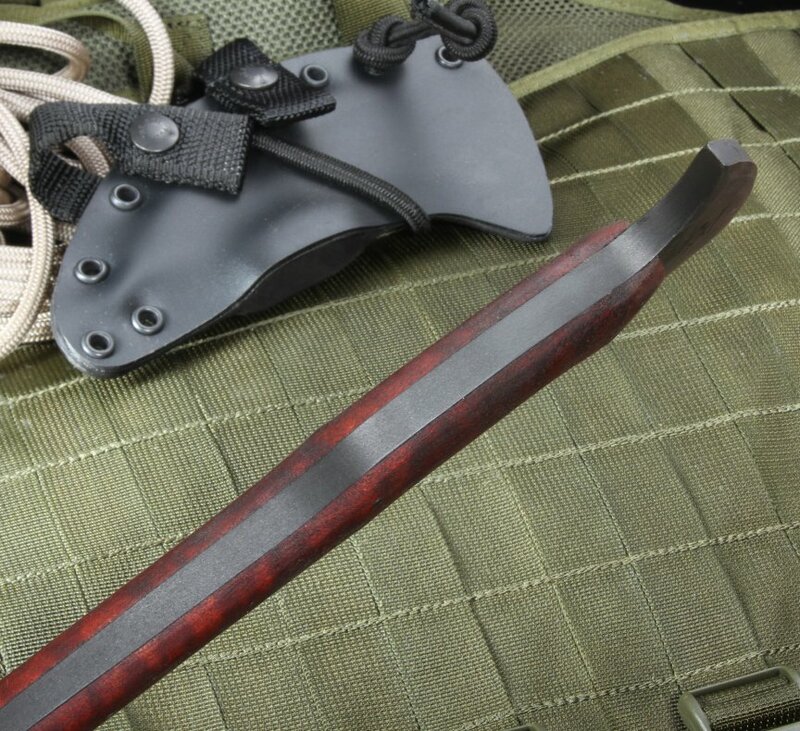 The Sayoc has a total head length of 5.5-inches and comes to a sharp point on the opposite end of the blade. The handle is high-quality premium maple that brings the total length of the axe to 13-inches. The axe itself is all one piece meaning it's solidly built and ready for use. It also comes with the classic Winkler tapered tang design giving its user an easier, firm grip and great leverage. 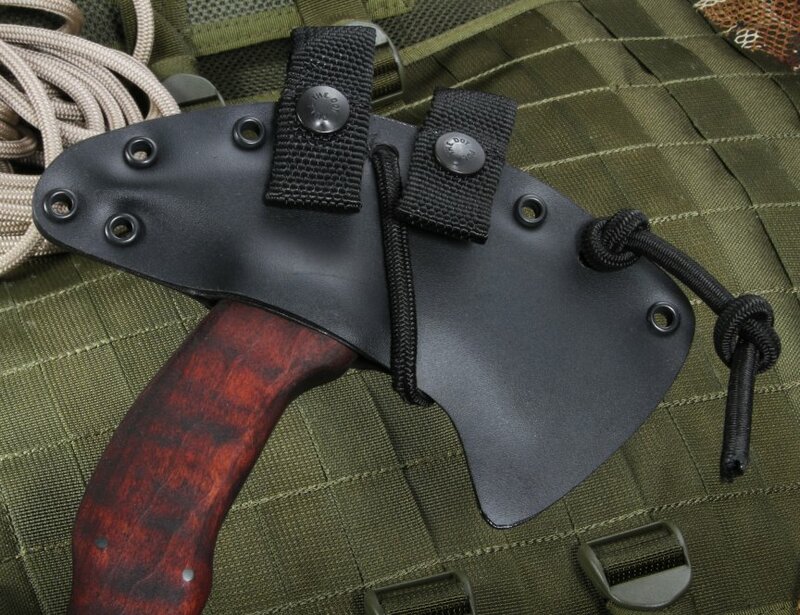 To top it all off the Sayoc comes with a custom felt-lined kydex sheath to help protect the head when not in use. The sheath also comes with a nylon belt hanger for easy transportation. 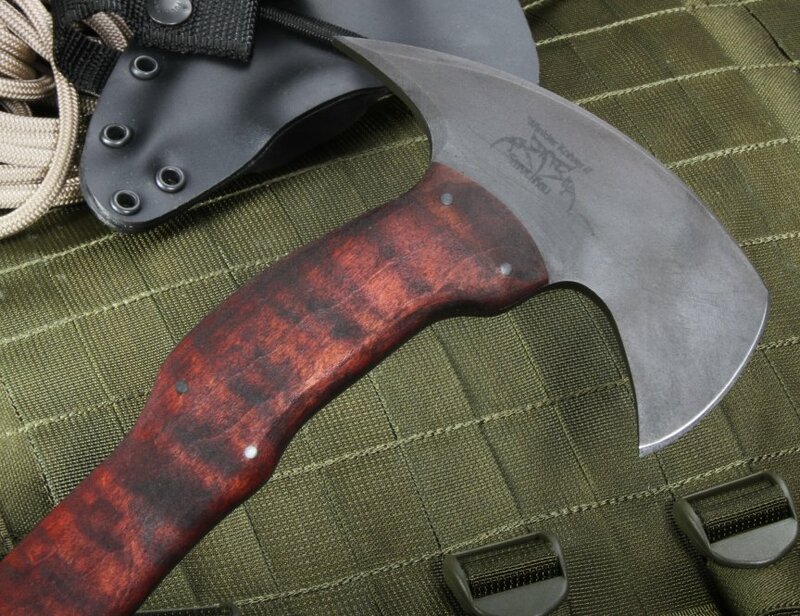 The Winkler Sayoc RnD Full Size Maple Axe, like all of our products, is protected under our satisfaction guarantee policy and free US shipping. Order with confidence at KnifeArt.com. TOTAL HEAD SIZE: 5 1/2"
The guys at Knife Art are first class. This axe is superb. I am currently using it for general hunting and woodsman work. It performs excellently and holds a decent edge. The blade edge and shape is perfect for skinning/prepping game and general felling/firewood collection duties around camp. I have ordered several blades from them for shipping to UK and not encountered any problems in the past. Sadly on this occassion I did experience a delay with Fed Ex in the UK as they have stopped forwarding knife shipments on from Stansted. You will need to collect in person or make alternative courier arrangements. I updated the guys at Knife Art and they were brilliant. Unfortunately it is out of there hands and due to policy changes with Fed Ex in the UK.